Are you familiar with the saying “the way to someone’s heart is through their stomach”? Valentine’s Day seems like the perfect opportunity to take your (potential) better half for a romantic dinner! For some this day is just a commercial bubble, while others take it very seriously. Either way, you are lucky to be in Barcelona during it, as even though it is not considered to be the most romantic city in the world and doesn’t celebrate this day much, it is full of lovely restaurants. Check out these 5 romantic places for dinner and spread some love! Josephine is a vintage French restaurant, featuring excellent Mediterranean cuisine and offering some of the best cocktails in the city. A special Valentine’s Day menu combined with live jazz music will certainly wow your partner and you! A crowd favorite Pla is located in the narrow streets of the Barri Gòtic area, and this alone helps with the original and intimate feel already. When you consider the truly Catalan menu, low light, and quite an informal setting, this becomes an excellent Valentine’s Day intimacy. As the restaurant’s motto goes, you should expect no less than “Good food and good atmosphere”! 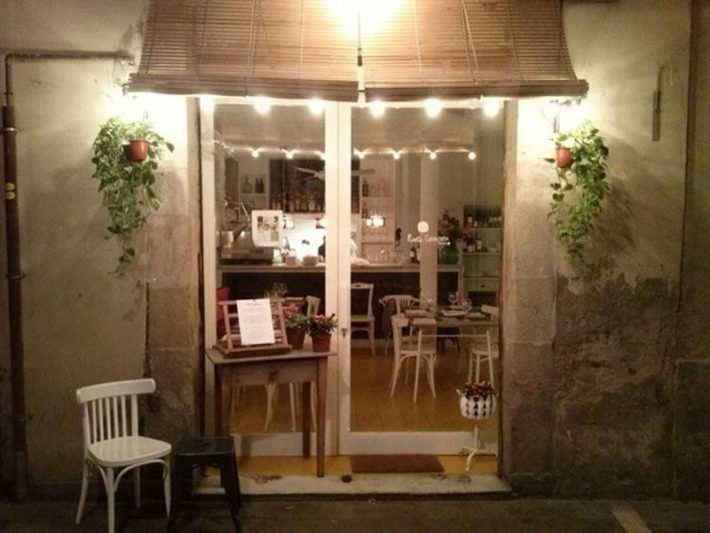 Opened more than a century ago, Celler Can Recasens is a cheese shop by day and an intimate and cozy winery by night time. 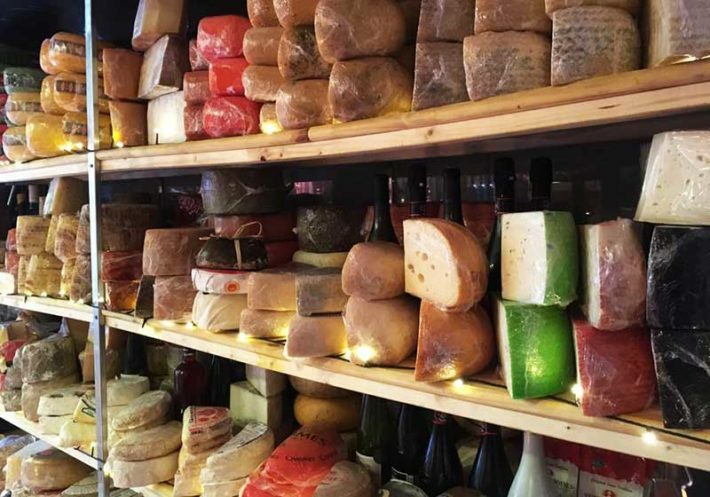 This place is informal, yet a splendid option for a Valentine’s Day evening, especially for true cheese fans. What could be more romantic than a cheese fondue? If “Not much” is what you though, then it’s the spot for you! “Moments” is a Mandarin Oriental Hotel restaurant, holding two Michelin stars. Chef Carme Ruscalleda (one of the most famous chefs in the country) and her son Raül Balam run the kitchen and prepare contemporary and creative dishes inspired by Catalan culinary culture. 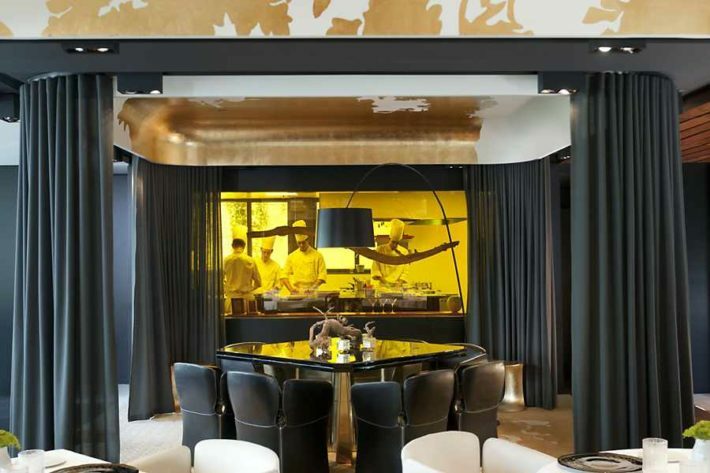 Both tasting menu, as well as dishes a la carte, offer seasonal gastronomic experience, which together with the gold and amber tones in the interior design create a magical, artistic feeling. 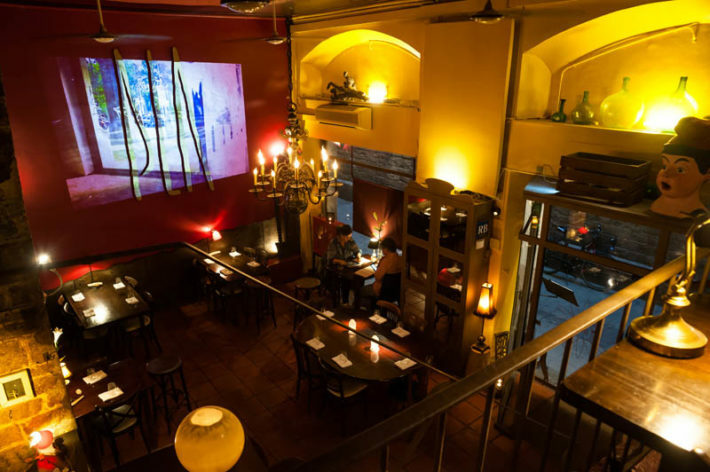 Head there for a fancier, one of the finest gastronomic experiences in Barcelona! This little place named after an Italian dessert obviously produces some amazing mostly pasta-based Italian dishes. It is run by two chefs, Catalan and Italian. High-quality food can only come from high-quality produce, which is exactly what the two chefs use to produce dishes of seasonal Italian cuisine. Meneghina offers a charming, romantic, and cute atmosphere – perfect for such evening! 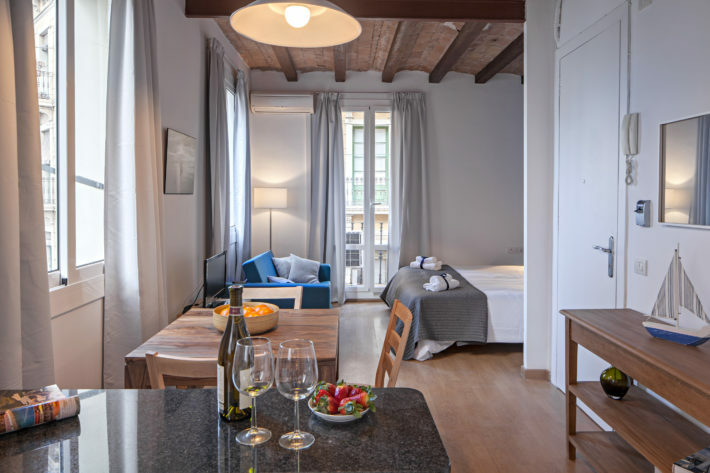 In case you just decided to do Valentine's Day getaway in Barcelona, take a look at Mar Studios, located next to the Barceloneta beach for your accommodation. A romantic beach walk will be the perfect end to a romantic evening in Barcelona!